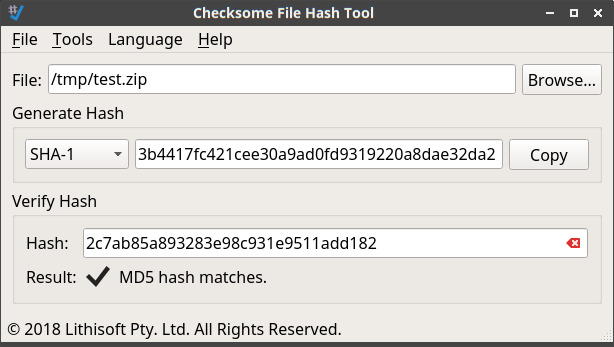 ile hash / checksum generator and verifier for Microsoft Windows, Apple macOS and GNU+Linux. Use this app to verify that the file you received has not been corrupted or tampered with. By computing the hash of the file and comparing it with the hash provided by the file's publisher, you can be reasonably sure that the file has not been modified.